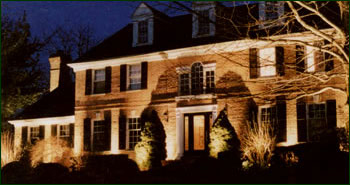 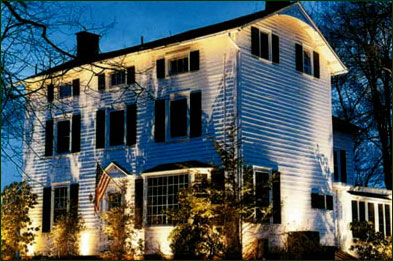 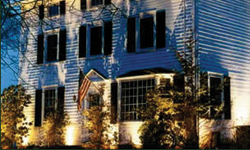 Security – High voltage floodlights leave dark shadows and unseen areas around a property. 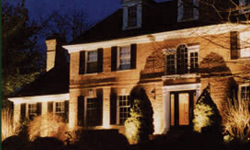 A better choice is strategically placed low voltage light that provide low levels of even illumination. 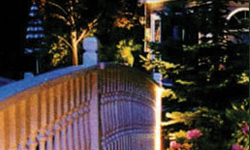 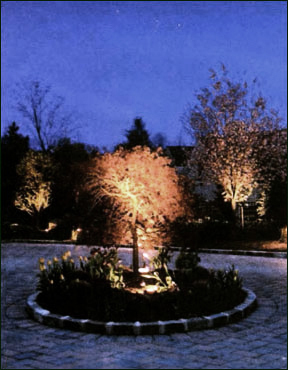 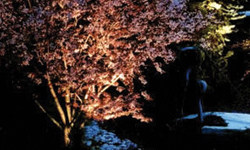 Safety – Low voltage lighting is the ideal choice for illuminating walkways and entranceways. 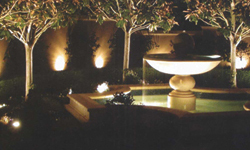 This ensures that residents and vistors can safely navigate around your property. 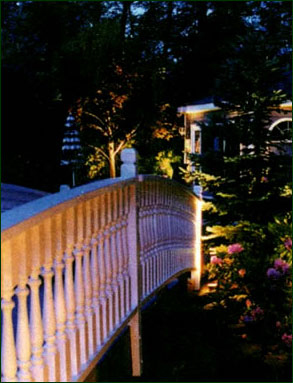 Usability – Illuminating the private areas of a property allows the evening enjoyment of decks, sitting areas and recreational spaces. 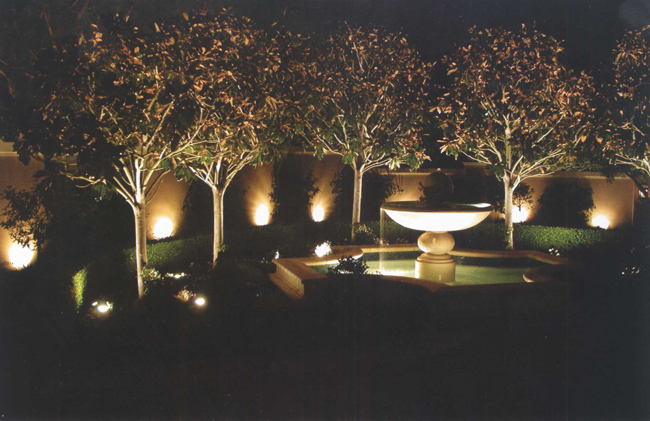 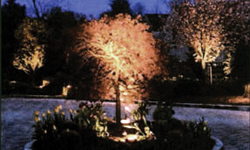 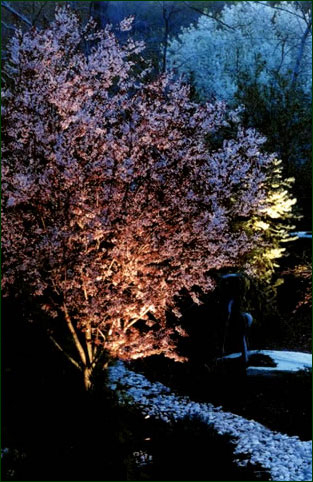 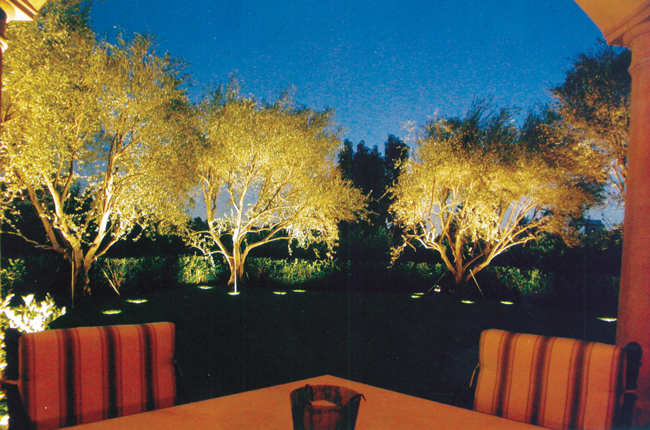 Beauty – Low voltage lighting accentuates the shapes and textures of a landscape and its structure. 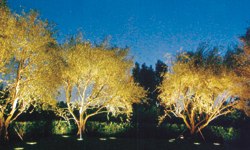 Lighting designers not only paint pictures with light, they create dramatic scenes that give the viewer a dynamic experience of your property. 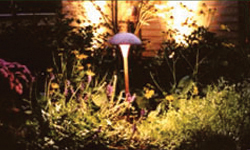 Economy – Low voltage lighting consumes about 1/3 the electricity compared to high voltage and is far less expensive to install.